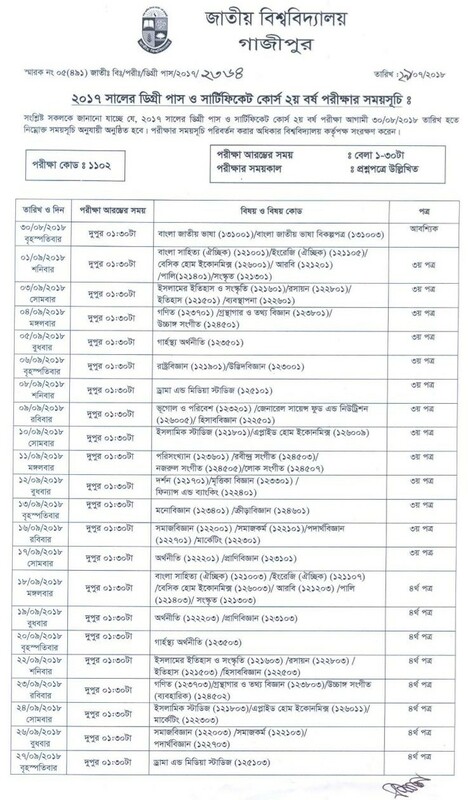 Degree 2nd year routine for the students of National University Bangladesh. NU official website has published this notice at 29Jul y 2018. and Degree examination starts from 3rd August 2018. 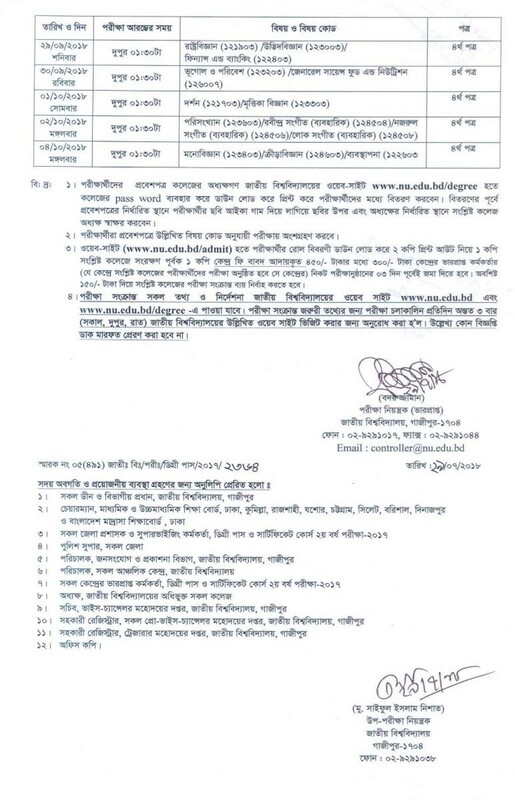 So See details for national university Bangladesh degree routine for 2017 season. Lots of Students wait for nu degree 2nd-year results. This is published lately because of session jot. Don’t worry see the notice below. It was Badly Needed. I wanna give you little thanks for sharing this useful routine for degree 2nd year candidates.